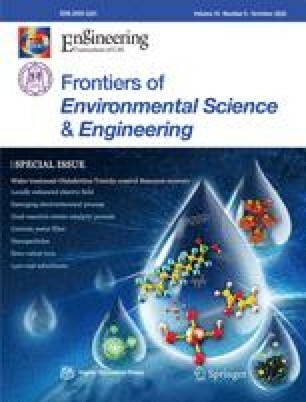 Large quantities of contaminated biomass due to phytoremediation were disposed through combustion in low-income rural regions of China. This process provided a solution to reduce waste volume and disposal cost. Pilot-scale combustion trials were conducted for in site disposal at phytoremediation sites. The reaction mechanism of arsenic capture during pilot-scale combustion should be determined to control the arsenic emission in flue gas. 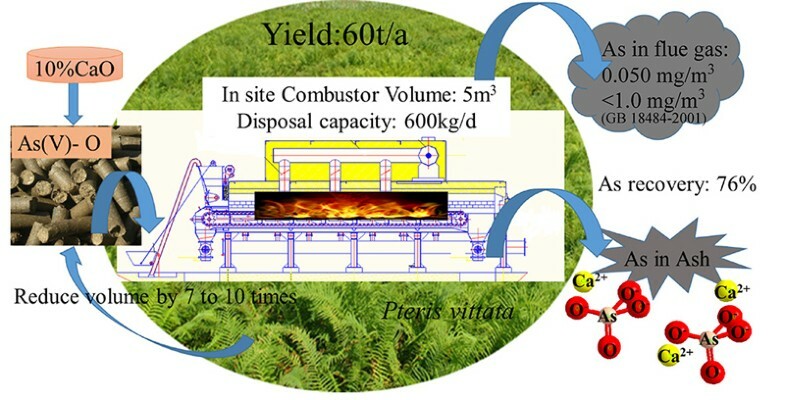 This study investigated three Pteris vittata L. biomass with a disposal capacity of 600 kg/d and different arsenic concentrations from three sites in China. The arsenic concentration in flue gas was greater than that of the national standard in the trial with no emission control, and the arsenic concentration in biomass was 486 mg/kg. CaO addition notably reduced arsenic emission in flue gas, and absorption was efficient when CaO was mixed with biomass at 10% of the total weight. For the trial with 10% CaO addition, arsenic recovery from ash reached 76%, which is an ∼8-fold increase compared with the control. Synchrotron radiation analysis confirmed that calcium arsenate is the dominant reaction product. This work was supported by the Special Research in Public Service Industry, China Ministry of Land and Resources (Grant No. 201511082-03), Science and Technology Major Project of Guangxi (Grant No. AA17204047-2), and UK Engineering Physical Sciences Research Council (EPSRC) (Grant No. EP/P022863/1).